Place lemon rind and sugar into TM bowl and grind 20 secs/speed 8. Add milk, melted butter, self-raising flour, and egg. Mix for about 25 secs/speed 7 or until just combined. 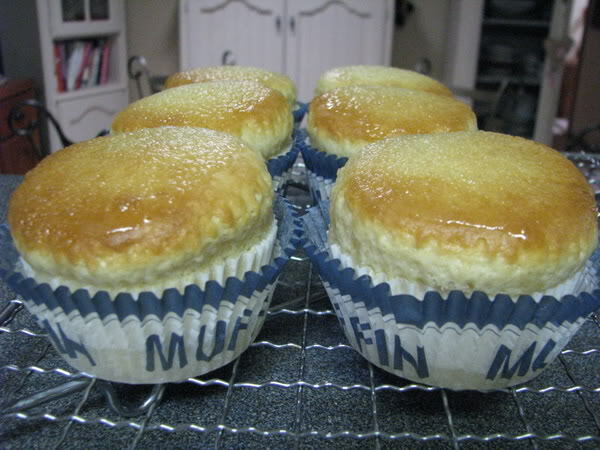 Place into greased muffin pan and bake 200c for approx 10-12 mins or until cooked. Mix together in a small bowl the lemon juice & extra sugar:- no need to dissolve the sugar. As soon as the muffins come out of the oven drizzle this mixture over each muffin. Leave to stand in the pans for only a few minutes after this, in case the syrup hardens as it cools and the muffins stick to their pans.